Yesterday?s cancellation of the Bahrain GP was the only decision that could be made. The current political situation means that the last thing the country needs is to host a global sporting event, even if they have paid £25 million to stage it. The decision was the absolute correct one off the track, and now we have to wait until March 27th for the season?s opener in Australia. And who is going to be disappointed about that? 2010 was a fascinating season, with five drivers in contention for the title all the way to the penultimate round in Brazil. The pre-season anticipation was electric, and then we went to Bahrain were we saw arguably the dullest F1 race in the modern era, it?s certainly the worst opener I can remember, a real anti-climax. To start a season you need drama, a scrambled grid in qualifying, a first corner incident and some rain for good measure. This is what Australia provides every year. Last season it saved F1?s blushes after such a torrid race in Bahrain. Hamilton?s daring overtakes, Webber?s erratic driving and Button?s tactical skills in the wet provided us with a classic. If Bernie and his friends can?t re-schedule Bahrain for later on in the year then I don?t think anyone will miss it. We already have far too many races in Asia. Japan and Malaysia, which were the only two on the calendar ten years ago, has since been joined by Bahrain, China, Singapore, Abu Dhabi, South Korea and this year, India. That accounts for almost 50% of the season. Only Japan, Singapore and an often wet China are stand out races. Ecclestone has gone on record by saying that he thinks 20 races is the absolute maximum F1 can have in a single season. So when the USA returns next year in Texas and Russia arrives in 2014, two circuits will fall off the calendar. It is more likely to be exciting circuits such as Canada and Brazil, then monotonous ones like those in Bahrain and South Korea. It is disappointing and frustrating that we won?t be in Bahrain in two weeks, but not because of its track or the races it holds. The wait goes on for the 2011 season to start, but that?s a small price to pay if we want to see dramatic, edge of our seat racing in Australia. That is something Bahrain has never been able to offer. 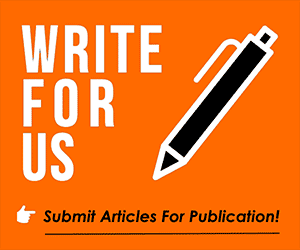 It couldn’t be simpler, just submit an article via this link and we’ll publish your views.